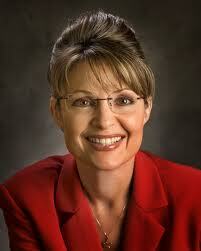 My person of the year 2011 is Sarah Palin. No one has played the media at their own game and defeated them as handily as the former Governor of Alaska. She has created an alternative universe, one where she controls her own media through appearances on Fox News and her Discovery special. What anyone else writes doesn't seem to matter anymore. By tweeting her latest thoughts or doing a live interview she can completely dominate a news cycle. How successful is she? Remember 'death panels'? She influenced millions of voters by her endorsements in the mid term elections and helped create the Tea Party and its resounding success. Along the way she confounded critics time after time. In the process she has made millions, propelled herself into the race for the Republican nomination for President of the United States and has become a household name across the western world. Today, every mention of her name raises hackles or cheers depending on where you stand politically. She is never boring, always controversial and the press cannot get enough of her. She has done all this despite a legislative career that consists of a short period as governor of Alaska and chaotic and failed vice presidential candidate bid to her name. She has the virtue that everyone continues to underestimate her, believing she has no chance at the Republican nomination in 2012. I beg to differ as I have said here on numerous occasions. I think 2011 will be another banner year for Palin at the end of which she will be poised to win Iowa and New Hampshire and sweep the Republican nomination. Because she is the most unlikely political story in a lifetime I think she deserves Person of the Year for 2010.